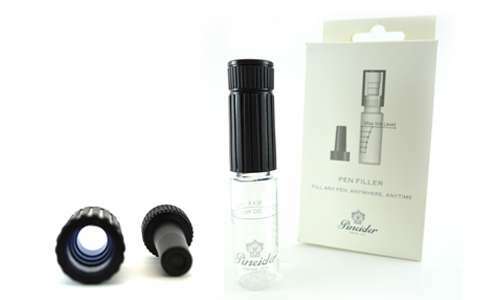 Filling your pen is quick and efficient with this smart design from Pineider, simply follow the instructions included with each package. 2. 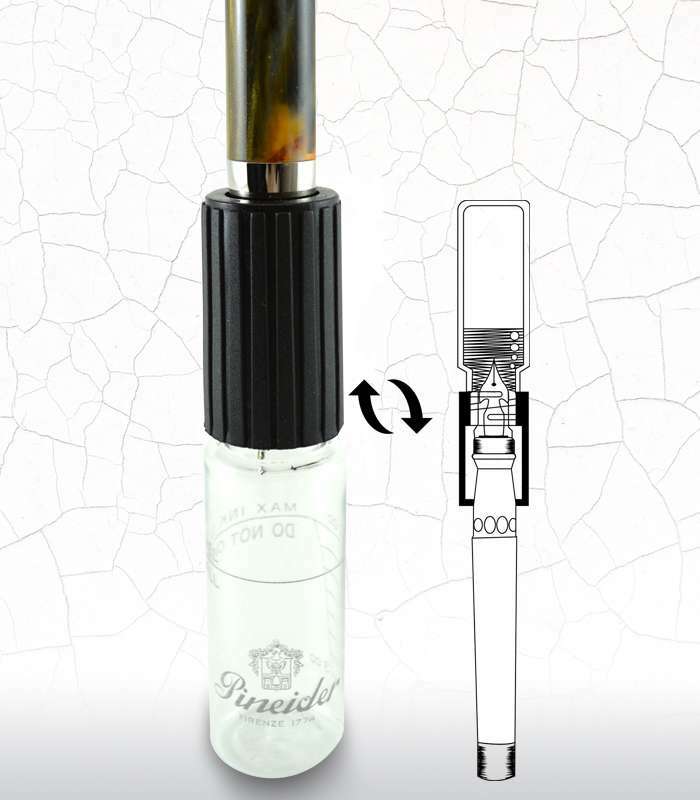 Lock the pen in place by turning the top of the filler. Quite simple to use once you've done it a time or two. Plus, I discovered a secret compartment! I imagine it's just a result of the manufacturing process, but you can pry open the top of the stopper (that has the logo and 'Pineider' on top), and there's an elongated hollow space, the length of the stopper. Now I'll leave it to you as to what illicit item or secret note you might wish to place in there, but I discovered that a short international ink cartridge fits perfectly. So, if you're traveling with one bottle-filled pen and another that's cartridge-filled -- you're covered!